What are typical Christmas decorations in Jamaica? Time surely flies, doesn’t it? Did you realize that it's almost Christmas! Sweet memories... The Christmas season is truly the most festive time of the year in Jamaica! Larger and more frequent gathering of family and a friends. Homes brightened with a fresh coat of paint. Increasing number of Christmas concerts and parties. Hear old time (and contemporary) renditions of Christmas carols. Smell the fresh aroma of Christmas Fruit cakes. And last but not least, observe more exciting Christmas decorations -bright and dazzling going up! Yup, regardless of the quality and abundance of sumptuous Jamaican food, no Jamaican Christmas will be complete without the the flamboyant Christmas decorations! And you now that Jamaican go 'all out' in everything, and Christmas decorations no different! By the way, similar to the Christmas carols, the decorations usually pop-up quite early. So, without further ado, here's a list of the typical Christmas decorations used in Jamaica. Now, this decoration wasn’t placed on the top of the list by chance. Oh, no! Christmas lights are an indispensable element in our box of decorations. 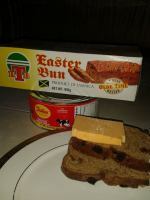 If you’ve ever been to Jamaica during Christmas time, you’ll understand what I mean. Here's an peek. Christmas lights are EVERYWHERE! Literally, EVERYWHERE! Christmas lights can be found on ours homes, Christmas trees, trees (Yes, the ones outside), shrubs, stores, corner shops, veranda grills and everywhere possible. The flashing lights are extremely dazzling during the night-time. This universal Christmas decoration is very popular here in Jamaica and increasingly so. Christmas trees can be found in homes and business places all over the island. In fact in every parish capital, there is now an annual festive Christmas tree lighting event. The event includes performances to entertain the crowd and messages from government officials. Christmas wreaths are another popular decoration used during the Christmas season. It is usually accessorized with poinsettias (another Christmas decoration on the list). Also known as the Christmas flower, the bright red colour of the Poinsettia is a firm indication that Christmas time is here. You will find a Poinsettia tree (or even two) in gardens of many Jamaicans. My grandma has one in her garden and every year I bask in its beauty. If you don’t have the real thing, you can decorate your home with artificial poinsettias. The Poinsettias are usually found on centre pieces and on wreaths. Other than the glitz and glamour that’s usually associated with Christmas, Christ is also a focal point in the festive holiday. Being a Christian society, the birth of Christ is a very important during the festive season. Figurines and other props representing the birth of Jesus Christ are displayed in churches and other places around the island. What’s a Christmas without good-ole Saint Nick? Right! While there aren’t any chimneys here in Jamaica, Santa Claus has definitely been in the island. Lovely decorated posters and inflatable decorations of jolly Saint Nicholas can be seen throughout the town. In addition, Christmas trees ornaments resembling Santa Claus are also very popular. Pine cones are another universal decoration that is used in Jamaica. Pine cones can be collected from the Caribbean Pine Tree, which can be found in various areas in Jamaica. Most of these decorations aren’t that unique, as they are popular around the world. 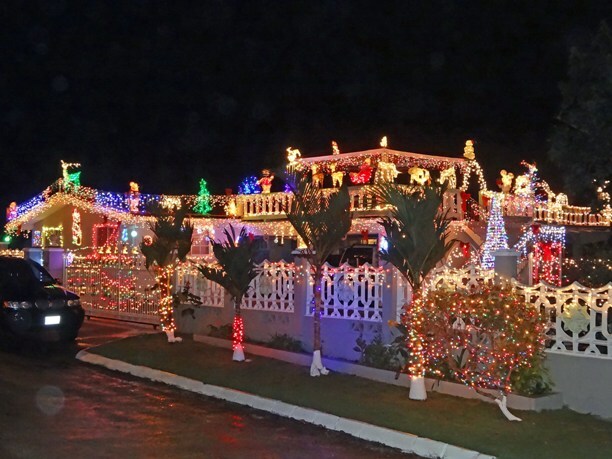 However, the cutomized combination of all these decorations help to make Christmas in Jamaica festive, colourful and memorable. Ooops, I didn't mention the balloons! Here's the funny part, even when Christmas is long gone, Jamaicans still have their decorations up, some running up into the new year! Lol. Goes to show the love of Christmas here. 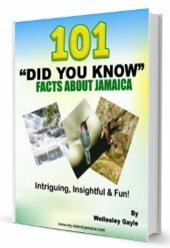 Be sure to read more on Christmas in Jamaica here. P.S. See also: Jamaican Christmas Music.